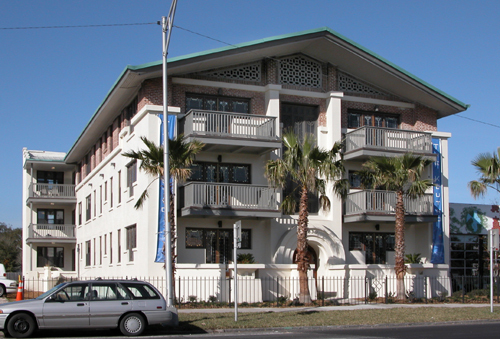 The facade of this building is one of Jacksonville's great works of art and is a masterpiece of Klutho's Prairie School design. 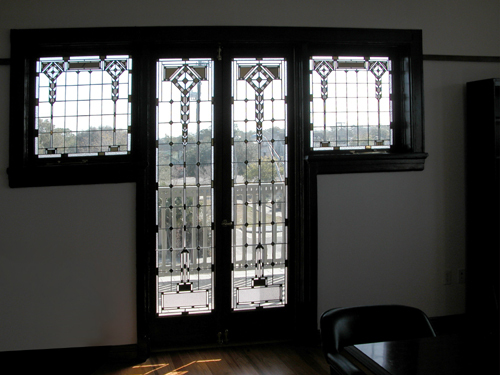 The windows, doors, and attic vents feature lively ornamentation with motifs of interlocking circles, rectangles, hexagons, and diamonds. The building’s skillful interplay of horizontal and vertical lines, as well as the rhythm of masses and voids, is accentuated by this ornamental detail. A dramatic prow roof gives a dynamic soaring appearance to the upper part of the composition. 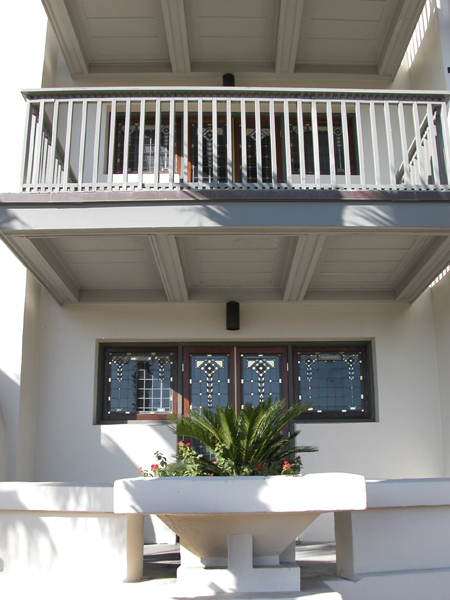 Perhaps the most striking feature of the building is the four cantilevered wood balconies at the front elevation overlooking Main Street. 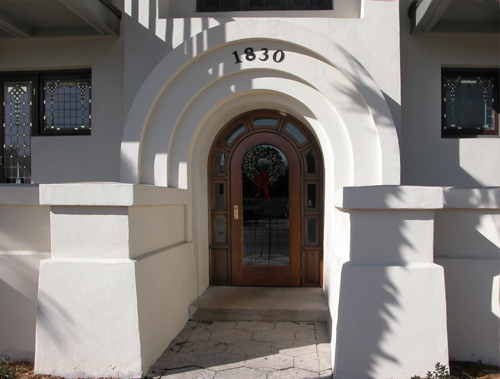 The front entry is framed in an arch with concentric half-circles radiating from it, recalling two earlier buildings by Wright, the 1903 Susan Dana House in Springfield, Illinois, and the 1901 Frank Thomas House in Oak Park. 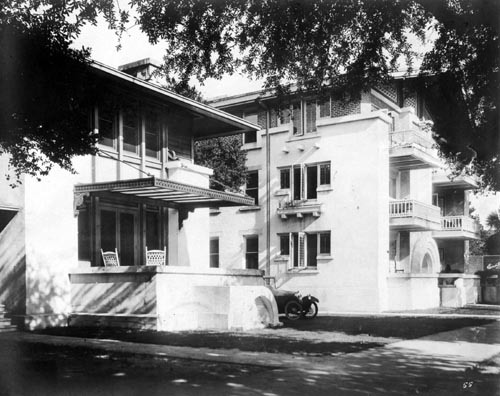 Klutho’s own residence (above, left) was originally located beside this apartment building on Main Street. 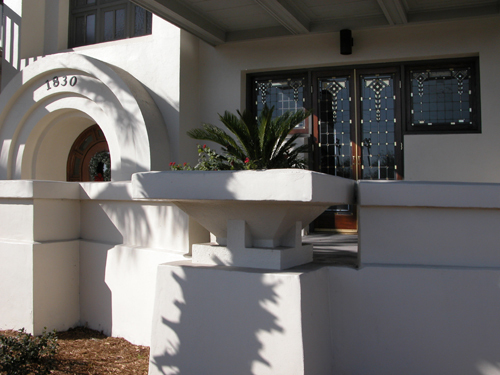 This splendid pair of Prairie School masterpieces was severed when the house was relocated to its present site around the corner on Ninth Street in 1925. 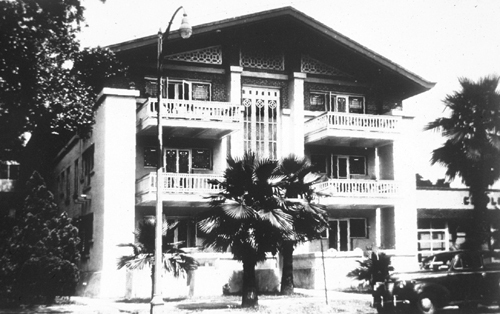 From 1929 to 1934 Klutho had his office in a downstairs apartment; he also resided in this building for several years. 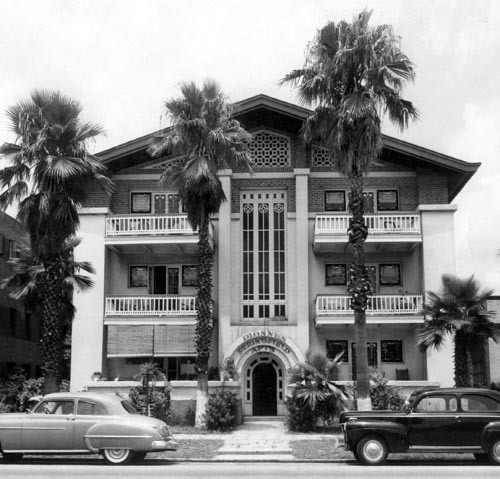 In 1943 the apartment building was sold to Isaiah Dionne, who changed the name to Dionne's Springfield Apartments. 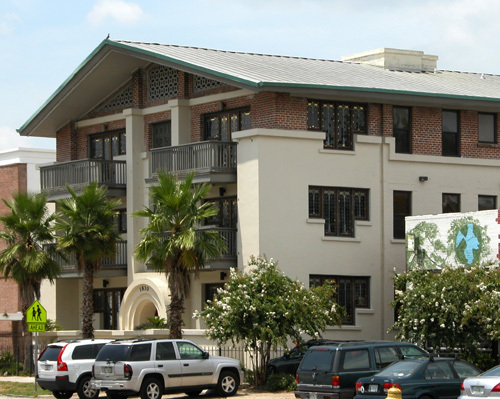 The rear portion of the building was ravaged by fire in 1993, and the building was almost lost. 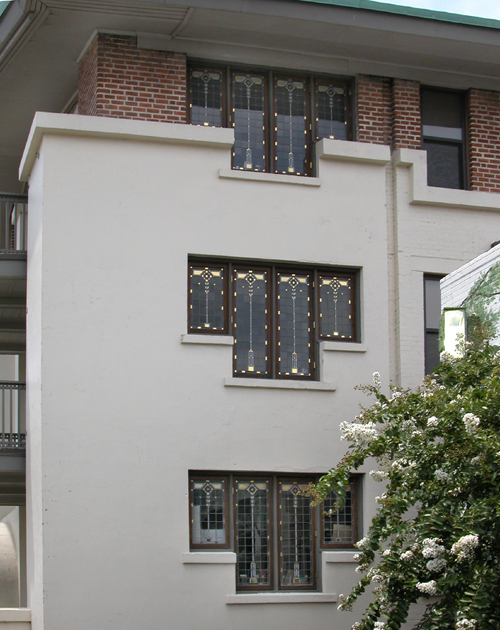 Its dramatic restoration was completed by Fresh Ministries in 2005 under the supervision of architect Robert C. Broward. curved central stairway. 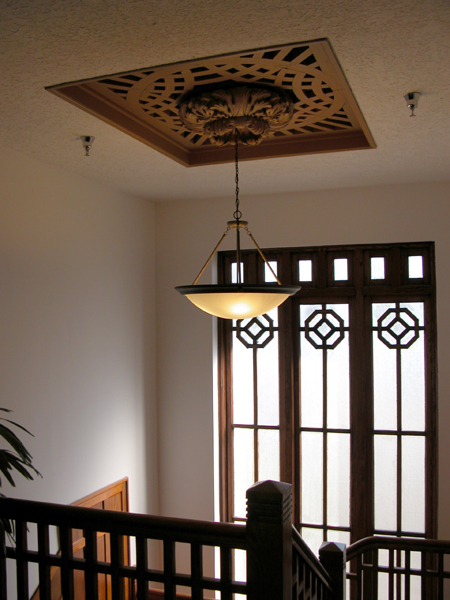 The stair is lighted by a two-story leaded glass window. with diamond shapes are truly stunning. 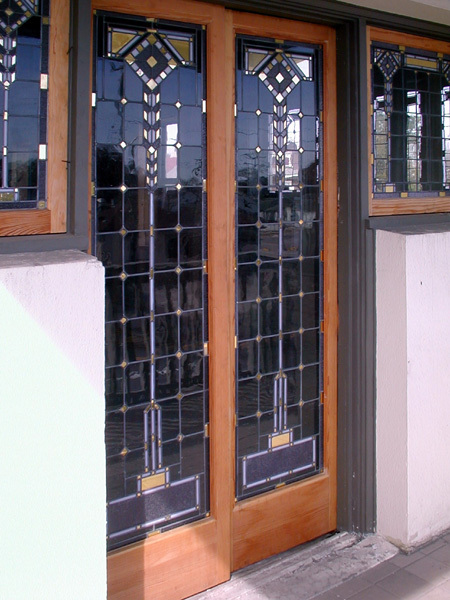 overall geometry, as an example of the many subtleties of the design. Listed in the National Register of Historic Places in 1987 as part of the Springfield Historic District. 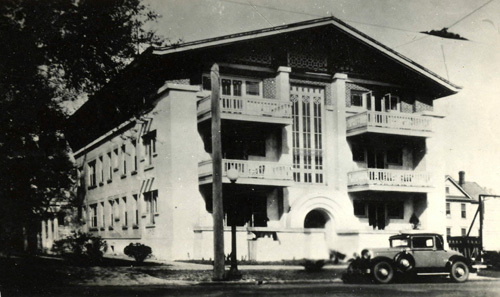 Archival photos courtesy of The Jacksonville Historical Society, Robert C. Broward, and Randolph C. Henning. Color photos by Wayne W. Wood. Was Klutho’s design stolen to construct an apartment building in Cleveland Heights, Ohio? 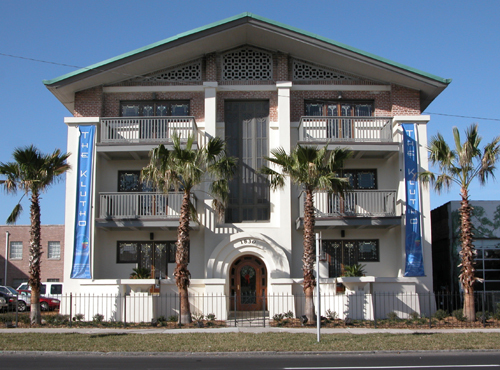 Visit the page for the E.L. Cannon Apartments.